No to corruption. Yes to families. The following as an excerpt from our newsletter, Mbali’s Message. Sign up to receive it by clicking here. Already in 2011 we’ve seen Ethiopia move to reduce intercountry adoptions by 90% and Kazakhstan officially suspend adoptions in anticipation of their ratification of the Hague Convention. Haiti and Ukraine are on what we’ve termed our “high alert” list – countries that show indications of closing in the next 12-months. This is a scene we’ve seen play out over and over again, in country after country. And every time a country has chosen to suspend or close intercountry adoptions, children suffer. It’s a scene that is quite frankly, confusing, unneccessary, and very disturbing. 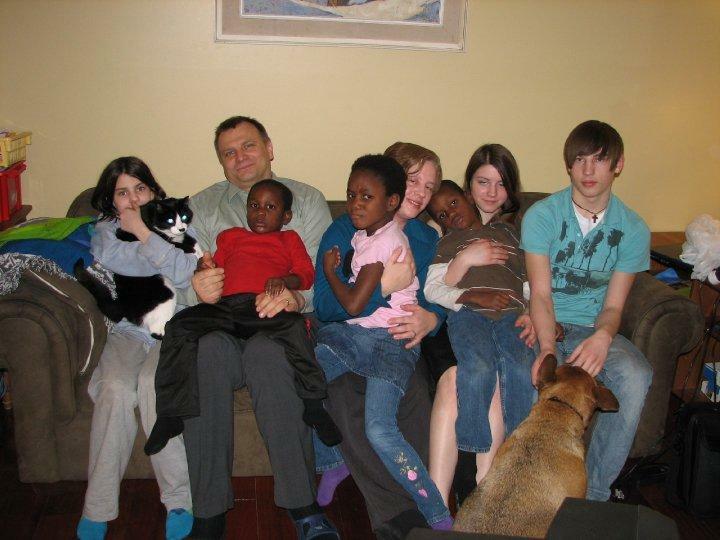 In allowing this to occur, we’ve failed the biological families who need preservation services, we’ve failed the children who legitimately need intercountry adoption and we’ve failed our global community. I don’t know about you, but I’m tired of failure. I’m tired of seeing children, like Addison, become “collateral damage” in the battle against abuse. Allowing children to die needlessly and alone is simply unacceptable. Over the last ten years we’ve fought the good fight. But we’ve lost too many times. And every time we lose, children lose. This month we’ll release a report about the systematic elimination of intercountry adoption and the decrease in services to children. And we’ll ask you to join us in changing the tide. We’ll ask you to rally your friends and family to stand up and say “No” to corruption and “Yes” to families. It’s not enough to just stop bad things from happening – we have to make good things happen too! So, be on the look out over the next month – in your inbox and our website – I hope you’ll join me in standing up and demanding the fulfillment of every child’s right to a safe, permanent and loving family. Join me in speaking for those who cannot speak for themselves. Today I literally saw the face of hope. As I walked into TLC for the first time in four years I saw a little boy half crawling, half shuffling across the dining room floor. Instantly I noticed that he had the signs of hydrocephalus – the enlarged, pointed head, the inward eyes. Instantly I thought of Rene and Addison and my heart broke for them. TLC, where I was a volunteer years ago, and will be helping out over the next ten days is the best child’s home I’ve been to. Probably because it is a home, one in which a family (three generations, in fact) lives along with 30 orphaned children and a host of volunteers from throughout the world to care for them. If any child with hydrocephalus is going to thrive without the one-on-one attention parents can provide, it’s at TLC. And that’s just what Josh is doing – thriving. Skirting around the floor faster than volunteers can catch him. Laughing at jokes. And having a three-year-old attitude. Later in the day I asked Thea about Josh. She told me that for two years she begged a nearby hospital to let her take him. For some reason the hospital never relented – they just let him lay there waiting for the shunt that had been placed in his head to stop working and for Josh to die. But then he found his voice. He learned a high-pitched, death curtailing scream. And he didn’t stop. Within 24-hours the hospital had called Thea to come pick him up – they couldn’t stand the sound of Josh’s scream. And with that he was free. For the rest of his life he’ll still need to deal with the effects of his hydrocephalus and he’s suffered from some brain damage due to a second surgery that didn’t go perfect, but, because he learned to scream, he has hope. I think of Addison who never had hope. The child care center she was in was ill-equipped to handle her needs. They chose to ignore the signs of her condition. And when help finally came, it was of poor quality and too late. She suffered a slow death. She had no hope. Rene, who was lucky enough to receive surgery in time to limit the damage to his brain, is in a facility that doesn’t understand the special care and attention his condition needs. They are unaware of how to properly care for the shunt that saved his life. While he’s lived to 12, his hope is depleting and his time is running out. All this to me just proves how much our lives are determined by the circumstances of the world around us – Addison could have been Rene, Rene could be Josh and Josh could have been Addison. But somehow Josh is the lucky one – he gets to live and thrive in the closest thing to a family any of these three children have had. Rest in peace, Addison. Keep on fighting, Rene. And keep on thriving, Josh. The HELP Haiti Act was introduced by Representative Fortenberry in response to the needs of 1,200 children who entered the U.S. through Humanitarian Parole after the earthquake in Haiti on January 12, 2010. This bill grants no special considerations to the children but rather places them on the same path to citizenship enjoyed by all other internationally adopted children. My legs were starting to get cramped up from sitting in the small airplane. Why did I have to get the middle seat again? My mom and sister always got the outside seats. “We’re here!” my mom said. I leaned over my sister to look out the window. “Wow, it’s beautiful!” I sgaid, almost shocked. The small island looked like it could be swallowed up by the ocean surrounding it. There were big mountains covered with beautiful green trees. I could see tiny little shacks stacked up one side of the mountain; they looked as if they were all going to slide off at any second. I had never thought of Haiti as being such a beautiful place. The moment we stepped off the airplane, I felt as though I had just run straight into a brick wall. It was so hot that it was difficult to breathe. My mom saw the looks on my sister’s and my faces and laughed, saying, “Welcome to Haiti.” She had been here many times before. My mom had fallen in love with Haiti and the Haitian people about three years ago when we adopted my little brother, Robby, from Haiti. 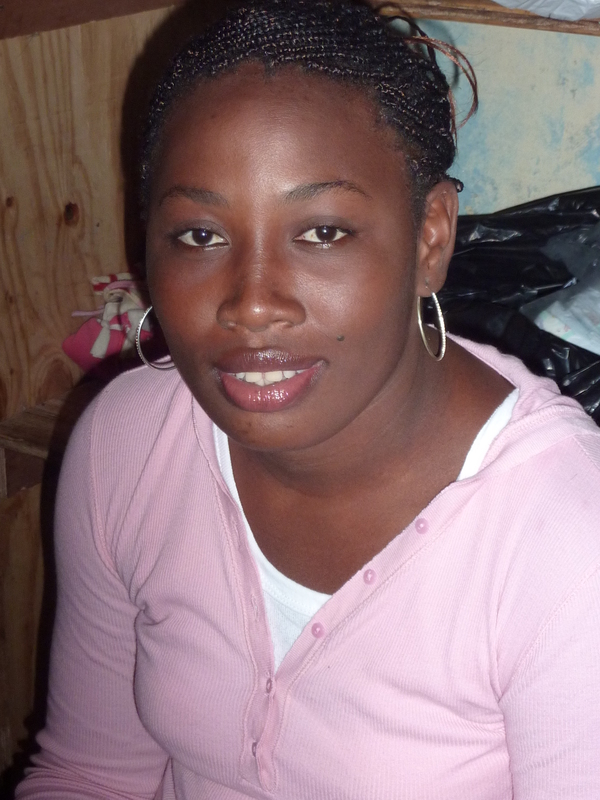 She had become so passionate about helping this small country that she and her friend started an organization called Haitian Roots. The program finds people to sponsor children so they can have a chance to go to school. They also fund-raise to build schools and employ teachers to improve the education system. When we left the airport, we were greeted by my mom’s friend, Harry, who owns and runs an orphanage. He drove us to our hotel to drop off our luggage, and then it was straight to the orphanage to get to work. As we were driving, I noticed the city looked so much different on the ground than it did from the airplane. It didn’t look like the same beautiful place I had just seen. There was garbage everywhere, piled all along the streets; the people were walking right through it like it wasn’t even there. The smell was so strong it burned my nose. I guess I’ll be breathing through my mouth this entire trip. I also couldn’t believe how many people there were packed into this tiny city. How does everyone fit on such a small island? I realized that my fingers had started to go numb from holding the seat so tight. Driving in Haiti was absolutely terrifying! There seemed to be no speed limits or traffic laws at all. There were cars flying in every direction and I could hear the sound of honking cars all around me. Oh, please let me make it out of here alive! It seemed as if everywhere we drove, people on the streets would stop and point and stare at us. “Blanca! Blanca!” I heard some of them yell. “What does that mean?” I asked. There was a giant wall with cartoon characters painted all over it. We drove past the gate up to what looked like a big house. This is the orphanage? It was nothing like I had imagined. We walked in the front door, and I saw to the right of me a room filled with cribs. I have never seen so many babies in all my life. There were two or three to each crib. The room smelled so badly of urine that I could almost taste it as I breathed. I was trying to fight the strong urges to gag. The sound of crying babies overwhelmed my ears. My sister and I picked up the two babies closest to us. “You won’t be able to put them down until they fall asleep!” my mom warned us, loudly shouting over the pitiful cries. My mom was right; if you picked up a baby and then tried to put him or her down before they had fallen asleep, they would go crazy! I watched a baby boy screaming on the floor after he had been put down by one of the nannies. He was so frustrated; he began to bite his own arm. I felt so overwhelmed by all the babies and the crying, I wished I could take care of all of them. “Come on, girls. Let’s go upstairs.” my mom said. We followed her up the stairs to the second floor where we saw there were about five different rooms filled with children of all ages. There’s more! I couldn’t believe how many kids there were! My sister turned to my mom. “How many are there?” she asked. “About eighty,” my mom answered. “Come here,” she said, “and I’ll show you where your little brother used to live.” We walked into another room filled with cribs, and my mom walked over and pointed to the crib in the corner, “That’s the crib your brother spent most of his life in until we brought him home.” she said. I walked over to the crib and saw a beautiful baby boy lying inside of it. He looked up at me and smiled and reached his tiny little hand through the bar of the crib. I took his hand and held it in mine. I looked into his big, brown eyes and realized that not too long ago that was my baby brother laying inside there. I felt a big lump begin to rise in my throat. My brother spent two years in this orphanage. How long would this baby stay here? Would he ever get a family? I felt the strongest wave of sadness wash over me and I couldn’t hold back the tears anymore. I had to get out of there. It was too much. I couldn’t take it. I walked outside and my mom followed. “Madi, what’s wrong?” she asked. “It’s not fair!” I sobbed. “What if some of these kids never get a home? 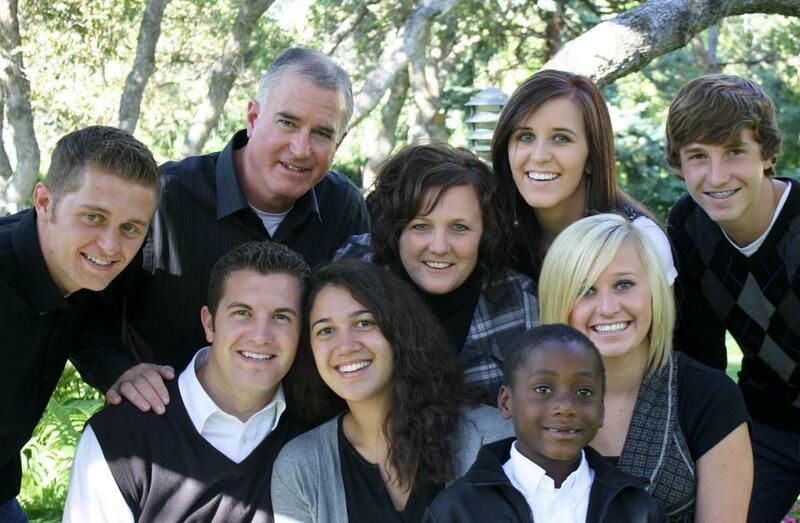 What if they are never adopted?” My mom held me in her arms while I cried. She didn’t say anything, she just held me. The truth was that a lot of the children will never be adopted and never get a family, and we both knew it. I couldn’t help but think back to a couple of weeks before we left for Haiti. There was a dance coming up at school. I had been so nervous that the guy I liked would ask someone else, or I wouldn’t be able to find the perfect dress if he did ask me. My mom and I spent hours and hours dress shopping, trying on dress after dress. At the time, shopping, a boy and the dance seemed like a big deal to me. As I stood there in my mom’s arms thinking of all these sweet children who don’t even have a home, I realized how much that dance didn’t matter. Inside the house I could hear my sister playing ring-around-the-rosie with the kids. I could hear them all laughing. Just a simple game had brought them so much joy. How could they have so little and be so happy? There are many who have so much but are still unhappy. How could they live in these conditions and still smile? How could an airplane ride to a small, foreign country be so life-changing? How could small, dark-eyed children with an infectious smile alter my whole life? What is important and meaningful to me? 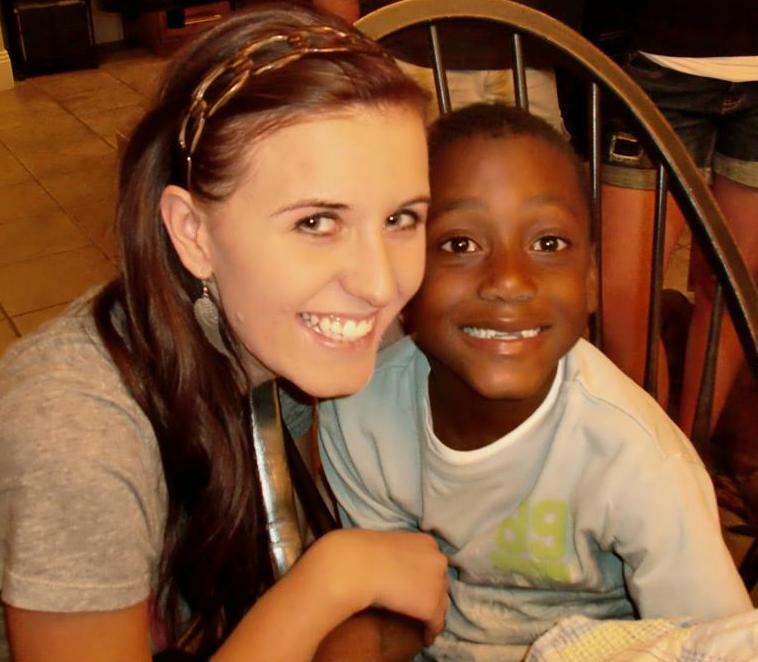 That trip to Haiti changed my life! It changed the way I view the world, and for that I am forever grateful. When I returned to my high school, one of my friends ran up to me and said, “Can you believe Sam bought the same jacket as me?” My friend didn’t know, nor could she understand what I had just experienced. Before my trip, I might have really felt her pain, but I had been through a life-changing experience and realized how silly some of my concerns had been before the trip. Going to Haiti made me realize how much I have to be grateful for and how there are so many people suffering in this world who need others to help them to have a better life. I am grateful that my mom has taught me that we all can make a difference in this world. 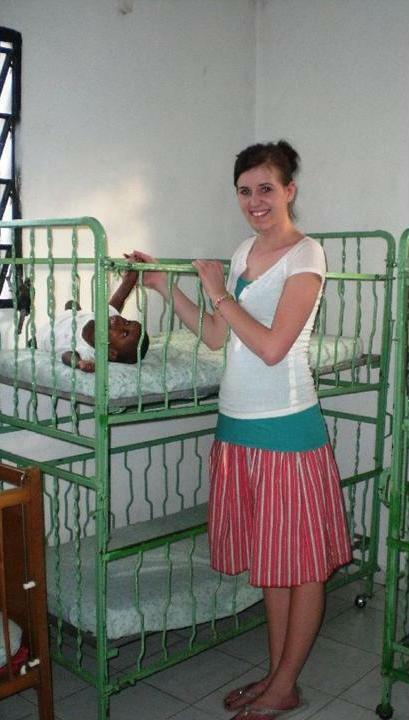 I loved going to Haiti. I loved working at the orphanage and I cannot wait to go back, even with the sickness and the sadness I am ready to go back and make even a little difference in the life of a child. “I’m afraid of rats,” five-year-old Ruben said, explaining why he didn’t want to sleep next to the wall. “There are no rats in this house.” Gladimi, his 7 year-old brother, reassured him. “The rats were in the other house. The one that shook.” They insisted on sharing a bed, but fought as to who would sleep against the wall. “That house was ugly. This house is pretty,” Gladimi added with a smile. Thus began the first of many conversations about “the house that shook.” Gladimi went: “A rat bit my toe. It bled. It hurt. I cried.” Ruben, not to be outdone, chimed in: “A rat bit my toe. I didn’t cry!” I could believe it; he’s an uncommonly tough kid, especially compared to his cry-on-a-dime older brother. But still the thought of rats made him climb into my lap and hug me tight. Gladimi then launched into a description of the terrible earthquake that devastated Haiti earlier in the year. Speaking Haitian Creole, I could only understand snatches of it, he was scared; people were screaming; they ran out of the house; the house shook and broke; they ran fast, fast. Their eight-year-old sister Rachel was filled with indignation as she remembered that day: “I was in the kitchen. The house shook. I fell down. I fell on the stove; it hurt!” She clutched her right shoulder –and now I knew how she got that large crescent-shaped scar. She seemed more angry than scared at the memory. Gladimi went on: “then I went on a plane. Mommy and Daddy went on the plane, too. Then I came here!” To which Ruben added: “I went on a plane, too!” And then he hugged me so tight it hurt, and I felt his tiny body shaking. 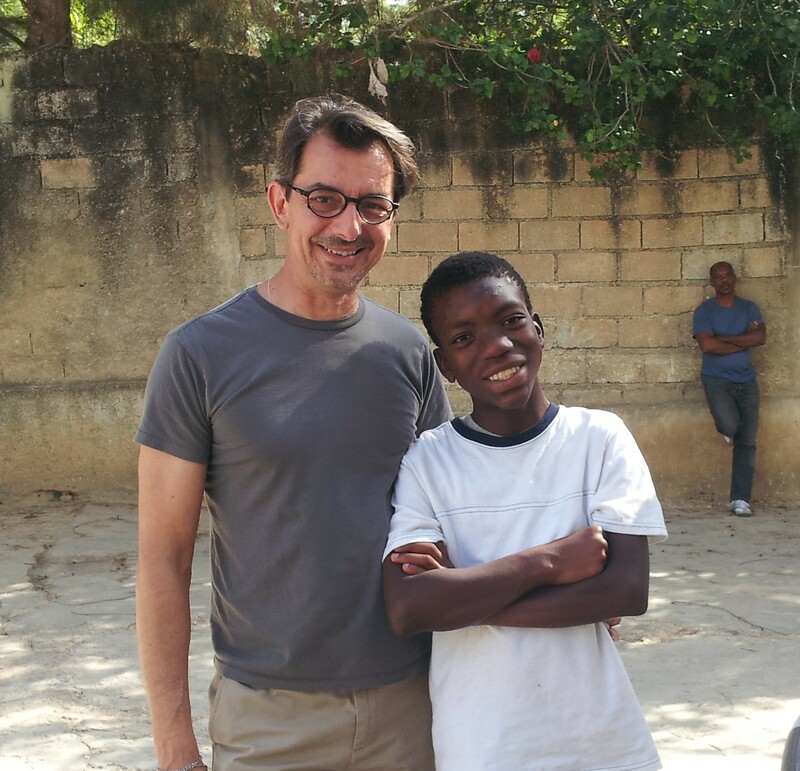 From the time we began the process to adopt three children from Haiti four years before, I never once had second-thoughts, but holding Ruben’s tiny, shaking body in that moment confirmed, beyond any doubt, that we had done the right thing. We certainly had no idea what we were getting ourselves into when we started the process, which is just as well. Three years after accepting the referral of a sibling set of three, the process was still dragging at a snail’s pace within the inscrutable bowels of Haitian bureaucracy. We were beginning to wonder if would ever get our kids. Then a 7.0 earthquake hit Haiti. It was four days before we got word that our kids were alive and well. But they were far from safe- dealing with aftershocks, food & water shortages, mobs & rioting, rotting corpses, disease and rumble. Utter relief came with the news that Humanitarian Paroles would be issued for all kids in the process of adoption. The three weeks between January 12th, the day the earthquake hit, and February 8th, the day we picked up our kids, were the most intense, excruciating three weeks of my life. One minute we thought our kids would soon be on their way; the next we would be informed of some seemingly insurmountable obstacle. Sleepless nights, mountains of paperwork, endless running around, and prayer finally paid off and we got the call that our kids had their paroles and would be on the next plane out. However, a massive snow storm was descending on Northern Virginia, shutting down all airports. We were assured our kids would be well cared for till we arrived in Miami to collect them, but how would they feel? When the airport still hadn’t reopened after three days, we took matters into our own hands. We rented a car and drove nineteen hours to Miami. We pulled into Miami at three am, managed a few hours sleep and then greeted our kids with hugs and kisses as they, oblivious, ate their cereal and watched cartoons. Because of the language barrier, I can’t ask them all the questions I’d like to. Do they remember their biological parents? Do they remember being left at the orphanage? How did they feel? After eight months in America, they have fully integrated into their new family (we have five biological children). They are happy, healthy, well-adjusted children. They go to school, speak English, play with friends, ride bikes, laugh, joke and tease, and come to me for hugs and kisses. I am left in awe at the resilience of children. I hope that some day they’ll be able to tell me about their other life; but only if they can keep the details, while leaving the pain behind. – Gabrielle LeBlanc, from Herndon, VA, married to Matthew Carnogursky, mother of Lizzy 18, Nick 17, Marie 15, Tommy 12, Katie 11, Rachel 8, Gladimi 7, Ruben 5. Gladami, Rachel, and Ruben had an Answer. Be The Answer for another child. Check out our Be The Answer Toolkit and plan on hosting a party. The Be The Answer Toolkit can be found here!